CURWENSVILLE — The Curwensville Area High School girls basketball team left everything on the Patton Hall hardwood against perennial Allegheny Mountain League championship contender Elk County Catholic Wednesday night. In a thriller worthy of a playoff setting the way the teams hustled and scrapped on every possession, the determined Lady Tide got important contributions from every player who stepped on the floor to grab a 41-36 lead with just under six minutes remaining. Then, Macy Neurieter took charge for the Lady Crusaders. The junior guard scored eight points to key a 12-5 closing run that enabled the visitors to escape with a 51-46 win and remain unbeaten atop the North Division at 7-0. “When we were up by five, I told the girls, ‘I couldn’t be prouder of the way you’ve played,”’ McCracken said. “That’s the best pressing team we’re gonna see in the regular season. Elk County Catholic (10-2) actually took it away. Neureiter, who had been hounded most of the game by Heather Thorp, ignited the deciding rally with an old-fashioned three-point play off a driving lay-up. After Julia Sweeney knotted the score with a putback, Neurieter hit a three-pointer from the left side for a 44-41 edge with 5:02 left. Curwensville (7-3) wasn’t about to go down without a fight, though. Ciara Strickland and Tierra Shope cashed passes from Thorp to put the Lady Tide back in front, 45-44, with three minutes remaining. Again, Neurieter responded for the Lady Crusaders. Left open for just a second, she fired up a three-pointer from outside that found nothing but net and then got loose on a drive for the last of her 21 points and a 49-45 advantage the Lady Tide couldn‘t erase. The Lady Tide’s only point in the final 2:25 was a free throw by Shope that made it a one-possession game going to the last minute as they failed to take advantage of Lady Crusader misses at the foul line. Their fate was sealed on a turnover after Kirstie Wheler pretty much iced it at 50-46 by making the second of two foul shots with 30 seconds to go. “We had a little breakdown right there at the end when we threw the ball out of bounds with 16 seconds left,” McCracken pointed out. “We could have gotten back to within two at that point. “But that’s just a stepping stone that we get in an intense game and the girls responded as best as I’ve ever seen them. We need to build on that. “That’s exactly what we’ve been missing the last few years. We need to be in those close games and find a way to win them. Curwensville, which still is very much in the AML-South chase at 2-3, fell behind 13-6 when Elk County Christian scored the last nine points of the first quarter. Eight consecutive points by Strickland got the Lady Tide even at 15-15 with three minutes left in the half, but the Lady Crusaders moved back in front, 23-19, by intermission. 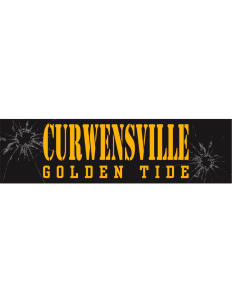 Curwensville was one shot away from taking the lead through most of the third period and finally did inch ahead, 35-34, on baskets by Strickland and Hannah Dixon in the last 23 seconds. Sweeney opened the fourth quarter with a reverse lay-up, but Shope countered with a short jumper, Abby Dugo stepped off the bench to calmly swish two foul shots when Shope had to sit after being intentionally fouled, and Strickland popped a short jumper to provide the Lady Tide with their five-point lead heading into the stretch. Strickland wound up with 18 points and Shope added 10 for the Lady Tide. Sweeney and Wheler joined Neurieter in double figures for the Lady Crusaders with 11 and 10 points, respectively. Shope pulled down eight of Curwensville’s 20 rebounds, while Erin Petroski had seven of Elk County Catholic’s 19 boards. The defensive man pressure by both teams produced a bundle of turnovers. The Lady Tide were guilty of 33 but helped create what had to be a season-high 25 by the Lady Crusaders. Elk County Catholic won the junior varsity game 34-13. Shauna Guy had eight points for Curwensville. The Lady Tide will try to rebound Friday when Johnsonburg, another AML-North opponent, makes the trip from Elk County. Allegheny Mountain League South Division standings – Brockway 3-2, DuBois Central Catholic 2-2, Curwensville 2-3, Ridgway 0-5. Allegheny Mountain League North Division standings – Elk County Catholic 7-0, Kane 3-1, Johnsonburg 1-3, Sheffield 0-2. Julia Sweeney 4 3-6 11, Erin Petroski 2 1-2 5, Macy Neurieter 7 4-5 21, Kirstie Wheler 4 2-4 10, Hayley Dacanal 1 0-2 2, Maddy Schneider 0 0-3 0, Chiara Genevro 1 0-0 2, Nicole Schneider 0 0-2 0. TOTALS: 19 10-24 51. Heather Thorp 0 0-0 0, Tierra Shope 4 2-4 10, Ciara Strickland 8 2-2 18, Abby Dugo 1 4-4 7, Kealy Wassil 3 0-0 6, Hannah Dixon 1 1-2 3, Shauna Guy 0 0-0 0, Christine Limbert 1 0-0 2. TOTALS: 18 9-12 46. Three-Point Field Goals – Elk County Catholic 3 (Neurieter 3); Curwensville 1 (Dugo). Officials – Lee Martell and Marvin Martell.